S0706. 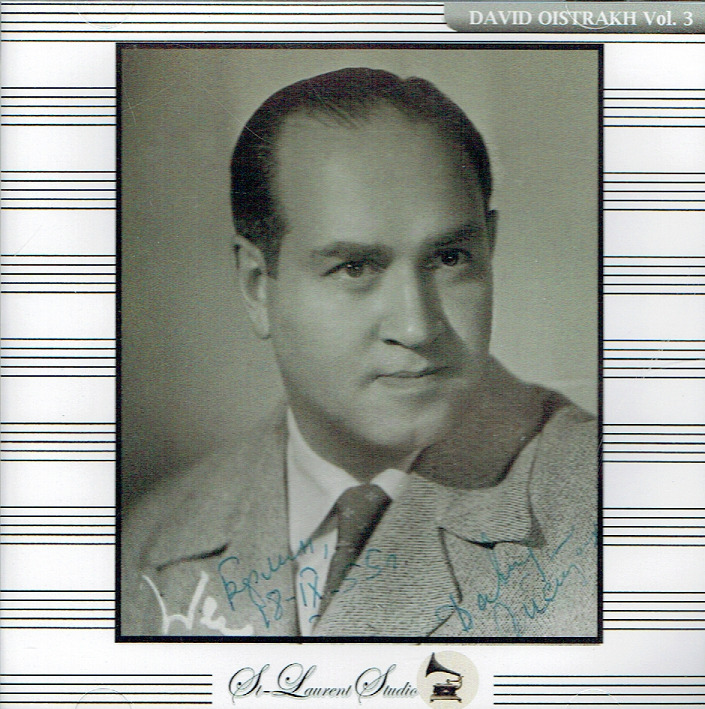 DAVID OISTRAKH, w. Cluytens Cond. RTF Orch. 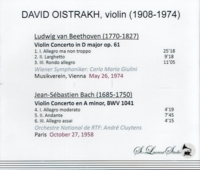 : Violin Concerto in a (Bach), Live Performance, 27 Oct., 1958; w. Giulini Cond. 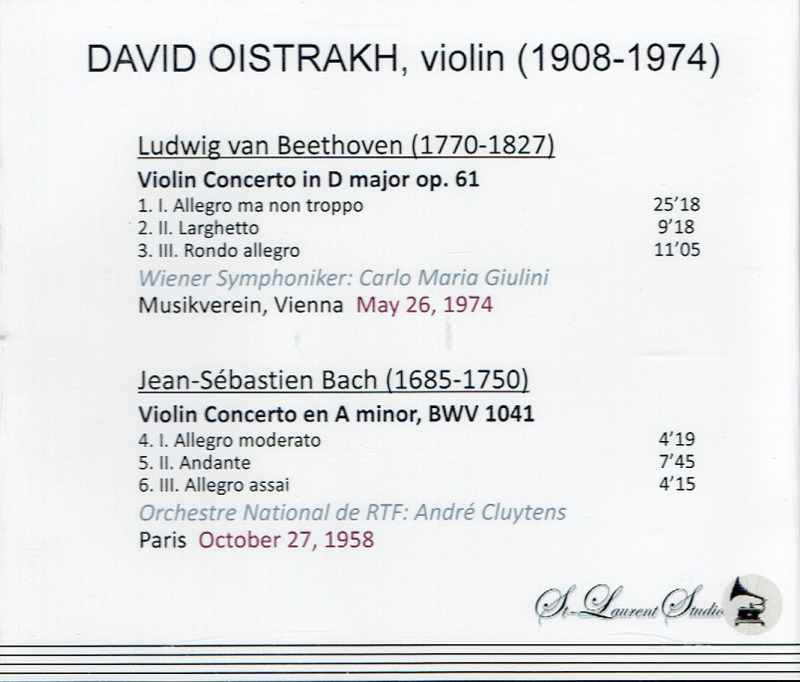 Vienna S.O..: Violin Concerto in D (Beethoven), Live Performance, 26 May, 1974. (Canada) St Laurent Studio YSL T-507. Transfers by Yves St Laurent.